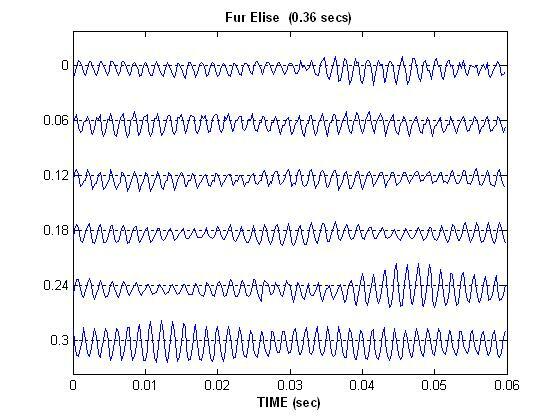 Listen to each of the signals again by clicking on the waveform. 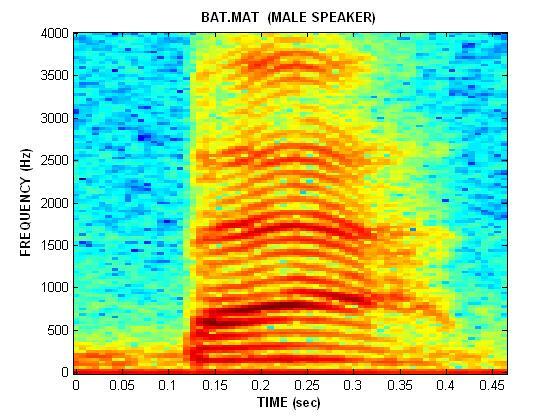 Can you point to features in the spectrograms that correspond to the changing tones (or pitch) in the sounds your hear? Do you see any harmonics? Did you hear any? 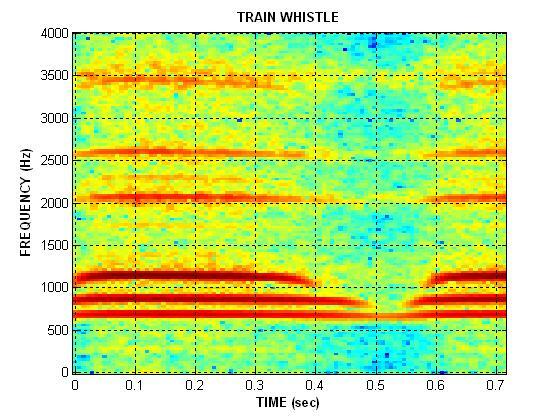 Listen very carefully to the sound and try to identify as many features of the spectrogram as possible. 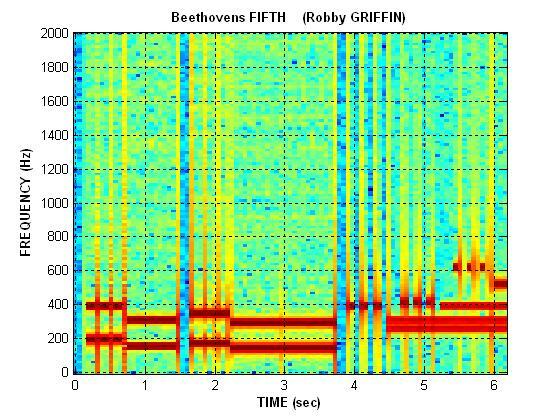 Compare the synthesized notes in Beethoven's Fifth to the real sounds made by the piano in Fur Elise. These were generated with MATLAB. 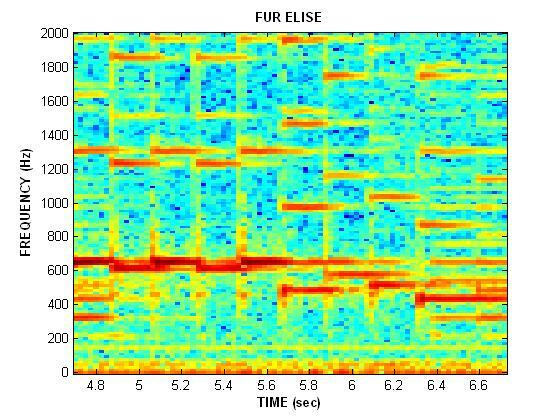 Click here to see the code that computes and displays the spectrograms. 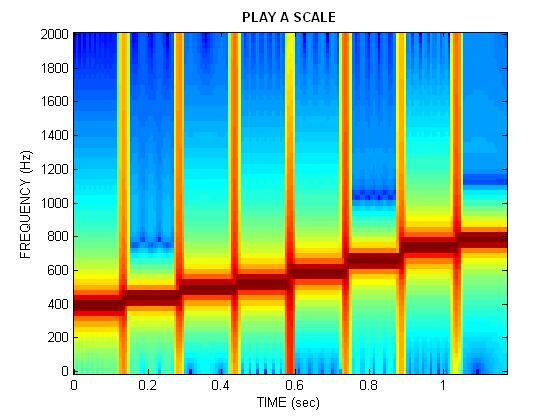 Here's a time-domain plot of part of the piano signal. Does each spectrum change with time? Did the changes make sense? Go to "Chirps" to see if you can predict the spectrum of a signal, or a signal from it's spectrum. © 2016 Pearson Education, Inc.